I have no idea what spider this is, I was cutting up an old fence and I've never seen one like this before which has obviously freaked me a little, I'm not one to fear spiders, I usually leave them in my house to catch the flies, can someone id this one for me please? Steatoda species, can’t be sure from the pic of the species as it’s a bit blurry, but either Steatoda gross or Steatoda bipunctata. They are not harmful, no UK spider is dangerous. Sorry, it was moving rather quickly & my camera struggles with moving images, thanks for the help. 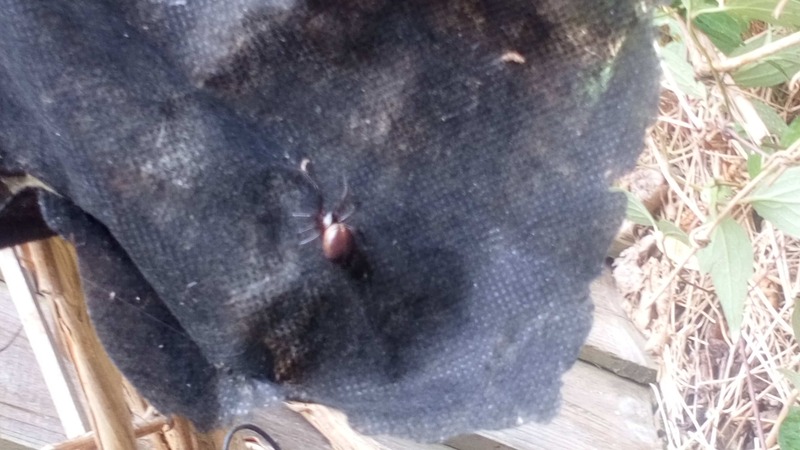 Looking through images based on your suggestions, I’m almost positive it was a Steatoda bipunctata, they’re identical to one I saw, thank you, it’s helped a lot.